It’s a quick read. Only 200 pages and the style is easy. Compelling story but not flawless. Good. It’ll be great to read your thoughts about it. Funnily enough, a friend mentioned this book the other day as she was toying with the idea of reading it. I’ll let her know about your review – I’m sure she’ll be interested. Good to know this billet might be useful. If she reads it, I hope she’ll drop by and leave a message. It’s a good book for discussion, I’m curious about other readers’ opinion about it. Interesting, especially about laying it on thick. Maybe people do this because they think it lends credibility to other aspects of the story? I’m afraid here it comes more from the wounds being to raw to be healed properly. Not enough hindsight. He was too young when he wrote it to be detached enough. That’s how I feel when I read the book. It might had led him to be unfair to his family. I might add this to my list of books to read on holiday ! 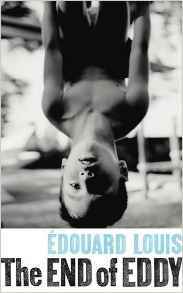 I’m taking mostly French books as they take me longer to read this solving the weight problem . Despite its flaws this does sound like an interesting book . That said, it’s an interesting book and a good one for someone so young. I have it on my Netgalley pile – the English translation. Interesting to hear your opinions – yes, it does sound rather exaggerated, but you know memory is not always very reliable, is it? Memory might not be always reliable but he wrote it only a few years later. He was only 22 when his novel was published. For me, he was not healed enough and I had the impression that some things were written in anger. And you know anger tends to push us to exaggeration. You bring up a good point–how our feelings of the past–in particular, our families can mutate over time. I wonder how he’ll look back on this book when he’s 40 or 50…Or when one of his parents dies. I heard him interviewed on the Vintage podcast and had no idea how young he was. He is so articulate and eloquent. Its on my TBR. He’s very young and here the critics were quick to praise his genius. Let me know what you think of his novel when you’ve read it. Thanks for the link. I felt the same way about his education – he talks about not being able to concentrate in school or do homework, but by the end his ability seems to be recognised by all. I expect this is partly explained by the polemical nature of the novel – he clearly set out to shock. I think he wanted to shock too. “Question : Aujourd’hui, vous êtes élève à l’Ecole normale supérieure. Comment vous y sentez-vous ? “Question: You’re currently studying at l’Ecole normale supérieure. (Note by Emma: A very prestigious and highly selective school). How do you feel there? Edouard Louis: Like I’m a fraud. As soon as I arrived, I felt out of place. This distance with the school world has never really left me, as if all my hard work, all the efforts people made to help me, especially all the teachers who helped me out, as if all this was not enough”. Ha! I knew that he got help from the school system. There was no way he could have done it all by himself without inside help. There’s a pride in French teachers, a heritage from the tradition of the “hussards noirs de la République” to help out gifted students like him. The “hussards noirs de la République” are the army of teachers the Third Republic hired, trained and sent everywhere in France to impose mandatory school and educate the masses. I didn’t enjoy it when I read it in 2014 (soon after its release in French). I totally agree about the exaggeration bit, but to me the result is that I didn’t really care, and I didn’t see the point of writing this “novel”. You read it in French, I suppose, since it was so soon after it was published in France. Is there a point in writing novels anyway? Still, this one can be useful to describe the bullying in school and how it made him feel to be gay and wanting to be different. Very interesting. 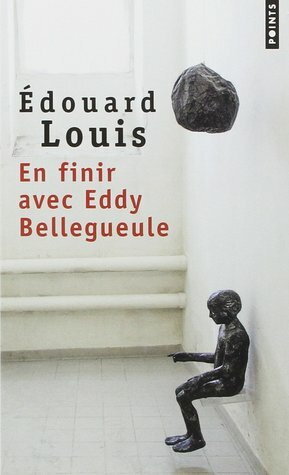 I read an Anglophone review of both his novels that also suggested there was something overdone about the books (the reviewer, in a what seems to me a remarkable coincidence, lives in the same town Eddy is from). So it’s valuable to get a real perspective on what his stuff is like. I like your point about changing names to fit the new “circle”. Am I right in thinking he’s something of a cause celebre in France? Or a famous novelty? How on earth did an Anglophone reviewer end up in this village in Picardie? I see I’m not the only one to point out that he went overboard. I hope foreigners don’t believe everything he writes. Sometimes it’s more Zola than 21st century literature. Honestly, Eddy Bellegueule is a difficult name to live with. Maybe I shouldn’t say that but unfortunately, it’s true. He became famous with this book. And the second too, where he tells how he got raped. There’s a court file going on and there was a controversy about it lately. Grant made it sound more tempting, but I have absolutely no appetite for literary misery memoirs which this firmly sounds like. Plus the overdone stuff really does sound overdone – is it so terrible to credit one’s teachers who must have done so much? A strong pass from me I think. For which thank you! I have too much to read already. It’s not a bad book at all, at least on the gay-teenager side. It’s just too grim to be completely true. I agree that a lot of the detail is exaggerated and I tried to ignore that it was a “semi-autobiographical” book because otherwise I would have been questioning it all the way through. However, the overall themes are very powerfully written, particularly his experiences of being gay in a homophobic environment. I agree with you: the part of being gay in this environment is the most convincing part.